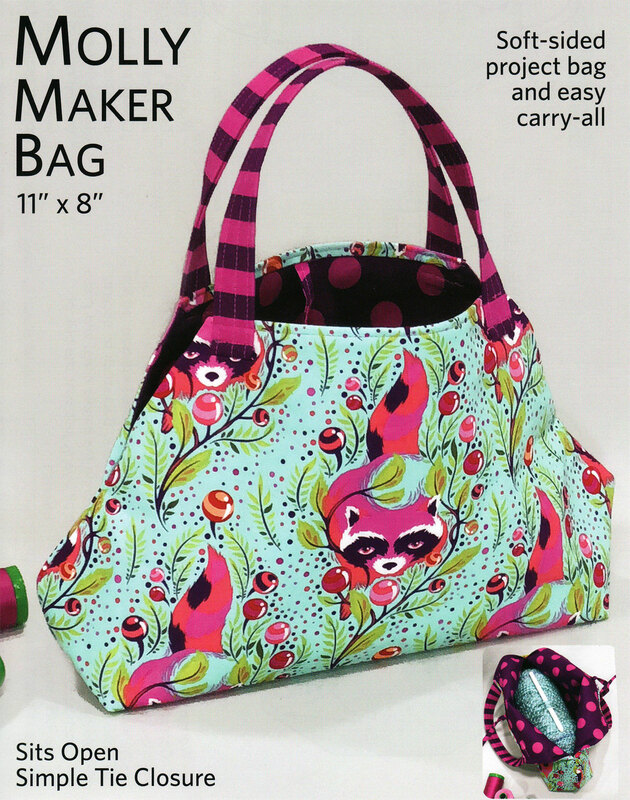 Molly Maker Bag sewing pattern from Lazy Girl Designs. 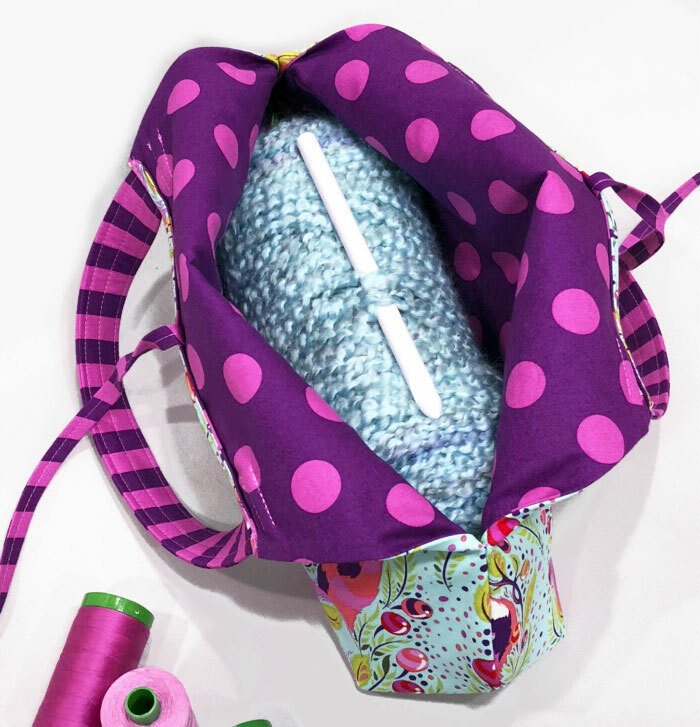 The perfect project bag for makers, Molly is a crafty best friend. 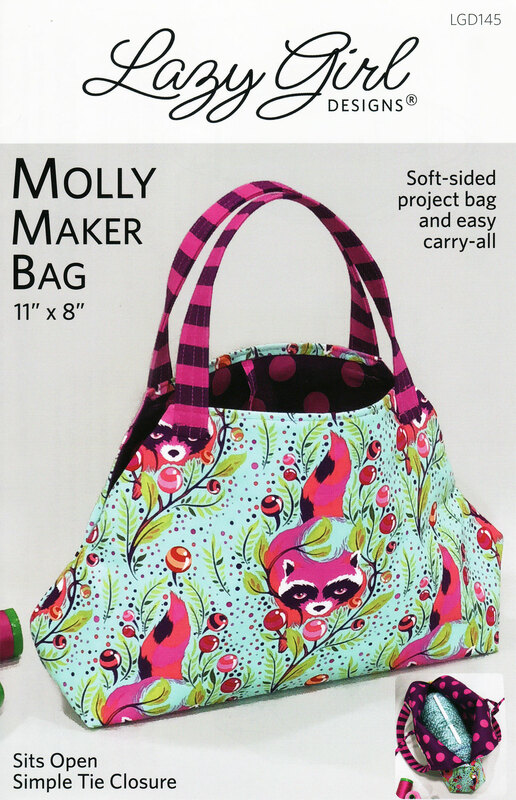 Soft-sided design allows Molly to sit open to easily access project supplies for hand sewing, English Paper Piecing, knit/crochet, and more. The Molly Maker Bag holds a skein of yarn. Simple tie closure. 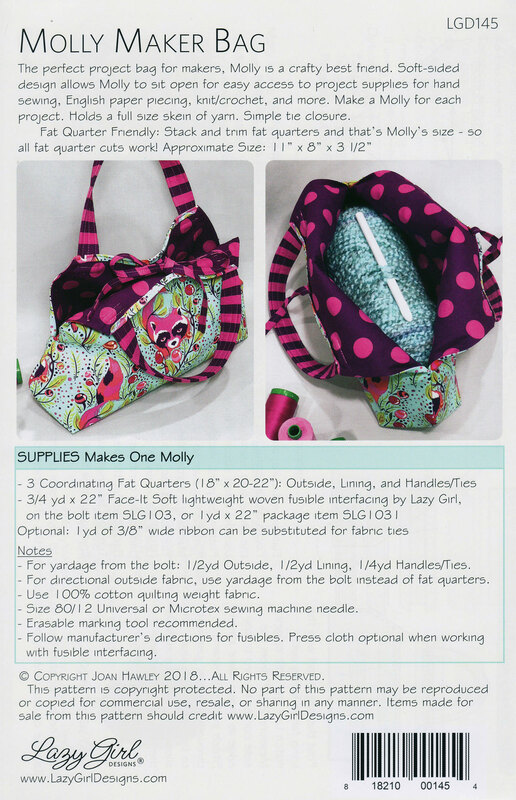 Fat quarter project. 1 package of Face-It Soft SLG1031 makes one bag.